Our mission is to develop and manufacture superior quality immunoassays for pre-clinical and clinical applications. Driven by scientific curiosity, we provide scientists and healthcare professionals with tests that enable discoveries, further our understanding of diseases, support the translation of research into diagnostics, and, in the case of CE marked products, assist in the diagnosis of pathologies. By offering products and services at the highest standard possible, we aid scientists and clinicians in their research with assays that deliver biologically meaningful and reliable results. Our ambition is to provide a maximum level of customer convenience. Our kits always come with all essential assays components as well as at least one control. We want to make our assays as convenient as possible for you. For this reason, all our kits include a minimum of six serum-based standards, one to two mostly serum-based controls, excess assay buffer, a protocol booklet with background information on the analyte including an overview of the validation data, as well as expected concentrations from healthy donors, and a 96-well plate of 12 detachable 8-well strips. Our standards are serum-based, meaning we manufacture our standard matrix from serum, which has been stripped of the analyte of interest, and spiked with a known concentration of recombinant analyte. Since analytes often interact with other circulating molecules, serum-based standards more closely mimic clinical samples leading to more biologically meaningful results. All our assays include at least one control that can be used as an internal quality control to verify within-run and in-between-run assays performance. Our antibody-coated ELISA plates come in the form of 12 separate, detachable 8-well strips. This allows customers, who do not need a full set of 96 test at once, to store the excess strips and save them for a later date. All protocol booklets include sample concentrations from healthy donors that have been measured with the ELISA in our own facilities. In addition, protocol booklets contain background information on the analyte with references to the relevant literature as well as a summary of the assay characteristics determined during validation. Where possible, we optimize ELISA protocols to avoid pre-dilutions to keep handling time to a minimum. In case samples happen to fall out of the range of the assay, our kits come with an excess of assay buffer. We include serum-based standards to ensure the accurate quantification of analytes with our ELISAs and optimize assay ranges for the detection of biomarkers in real samples. Our kits are designed to measure biomarkers in clinical samples, thus leading to biologically meaningful results you can rely on. To ensure our kits give reproducible results, we validate all our ELISAs extensively with real samples, base assay ranges on results from healthy and pathological samples, determine normal values for healthy populations and provide serum-based standards with our ELISAs. All our ELISA kits are extensively tested with real samples in different sample matrices. Validation evaluates assay performance and includes matrix comparison tests to ensure all sample matrices behave the same way, sample stability tests to estimate the fragility of the analyte, and a variety of tests for the evaluation of dilution linearity of endogenous analytes and the accuracy and reproducibility of the ELISA. We select our assay ranges based on biological data taking into consideration both our own results from healthy and pathological cohorts, as well as published literature. We aim to cover the relevant biological ranges in our tests without requiring any sample pre-dilution. We provide expected concentration ranges for healthy cohorts for all our ELISAs. These values are derived from the measurement of a panel of healthy donors and include expected values for multiple sample matrices. Our standards are serum-based, meaning we manufacture our standards from serum, which has been stripped of the analyte of interest, and spiked with a known concentration recombinant analyte. 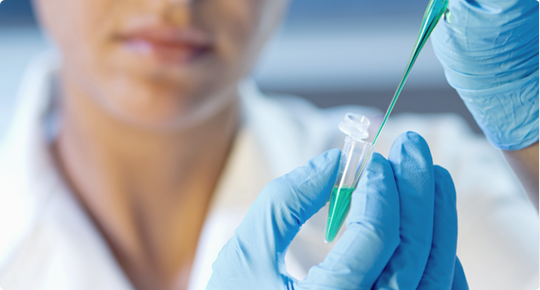 Since analytes often interact with other circulating molecules, serum-based standards more closely mimic clinical samples leading to more biologically meaningful results. We validate all our immunoassays according to FDA, ICH and EMEA guidelines. To be fully transparent, we share both our approach and the results with you on our website. We foster a constant exchange between our customer service and laboratory staff are thus in a unique position to answer all your queries. We are always happy to share our knowledge. The vast majority of Biomedica products is delivered and used without issue. In case you do encounter a problem or have a question, however, our premium quality products are complemented by Biomedica’s experienced and qualified team offering technical and scientific support. Due to the close collaboration between the development and production facilities and customer support, we are in a unique position to answer all your queries regarding our products. Being scientists at heart, we are always happy to share our knowledge, give advice, and help our customers selecting biomarkers. Making use of our in-house production facilities, we will work with you to find a custom solution that accommodates your needs. We understand that sometimes the commercially available, one-size-fits-all options are just not right for a customer. If this is the case, we will work with you to solve your issues. Be it that you require more of a reagent, want to have a certain number of assays from one particular lot or are looking for a custom solution altogether, we will tackle your problem together with you to come up with a solution tailored to your needs. We offer custom analytical testing services for all our own and other manufacturers’ ELISAs, Luminex assays, microRNA analysis, and glycan profiling. We take quality very seriously during all steps of development and manufacturing. After development, our products are validated according to FDA, EMEA and ICH guidelines and feature a validation report. Our manufacturing process conforms to GMP/GLP guidelines and complies with the ISO 9001:2015 management system. Products intended for use as in vitro diagnostics (IVD) are also CE marked. Read more about products validation and quality management at Biomedica. Founded in 1988, we have over 30 years of experience in the development of immunoassays. This knowledge allows us to guarantee the high quality of our products, to reduce the time needed for developing new products, and to offer great scientific and technical support. All our products are developed in close collaboration and exchange with scientists and clinicians to ensure we meet our customers’ expectations and needs. Over the years, Biomedica Immunoassays have become internationally recognized and our customers include numerous top-ranking institutions, well-known CROs, and laboratories in the pharmaceutical industry. With our contract development service, we make our expertise in immunoassay development available to customers, institutions, and companies requiring a novel test or the professional advancement of an existing test. Biomedica is part of the AddLife Group, a publicly traded parent company consisting of various subsidiaries in the Life Science and Medical Device fields. AddLife strives to improve people’s lives by being a leading, value creating player in Life Science. As part of this vision, Biomedica develops innovative products for pre-clinical and clinical application. Our products are shipped from Vienna, Austria, in the heart of Europe to all over the world, either directly or via our local distributors. 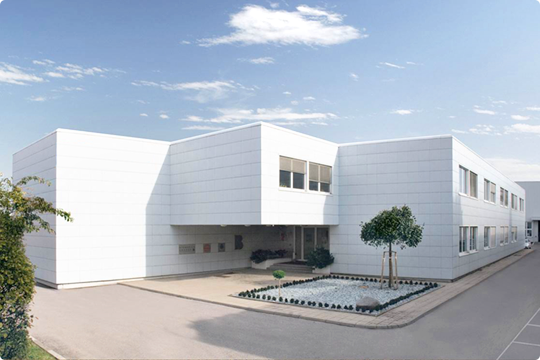 Our development and production facilities are in Bratislava, Slovakia, only an hour’s drive away from Vienna. Our staff in Bratislava is also in charge of all ELISA service measurements allowing tight coordination of production and measurements. At Biomedica, we embrace diversity and are proud to have an above-average proportion of female scientists and staff. We are an enthusiastic and compassionate team that values each person´s talents and personality. Our culture of respect and reliability not only makes Biomedica a great place to work, it is also the foundation of the close relationship with our customers. We ensure worldwide availability and customer support by cooperating with selected local distributors on all continents. Our long-term partner in assay development is The Antibody Lab GmbH, a private biotechnology company based in Vienna. Biomedica and The Antibody Lab work closely together to select, develop, and establish new biomarker assays. By attending conferences and meetings together, we maintain a close relationship with our customers and keep them up to date with the latest discoveries in life science and medical research. TAmiRNA, a Vienna-based startup specializing in the detection of microRNA biomarkers. Using the osteomiR™, thrombomiR™, and toxomiR™ kits, verified microRNA biomarkers are detected in serum and plasma samples to assess fracture risk, platelet function, and toxicity, respectively. Fianostics, an Austrian based startup developing and producing patented FluoBolt™ - high sensitivity fluorescence immunoassays for analytes which are hard to detect by conventional ELISA technology. Currently available: FluoBolt™ Noggin FIA, FluoBolt™ Periostin FIA, and FluoBolt™ Asporin FIA. Finally, we are the exclusive partner of Glycotechnica Ltd, a Japanese biotechnology company, in Europe. Using lectin-based microarrays (LecChip™), their proprietary innovative technology enables quick and accurate glycan profiling for any complex glycans, even for mixtures.